I love flowers, on the plot not only do they soften the edges but also attract plenty of bees from the hives that we have on the site. I also had an image of bringing armfuls of flowers home but the reality is I prefer to look at them in situ so this has never come to be. I have been waiting patiently for everything to bloom and it finally looks like it’s starting. These pictures were taken yesterday morning whilst there was a break in the rain. 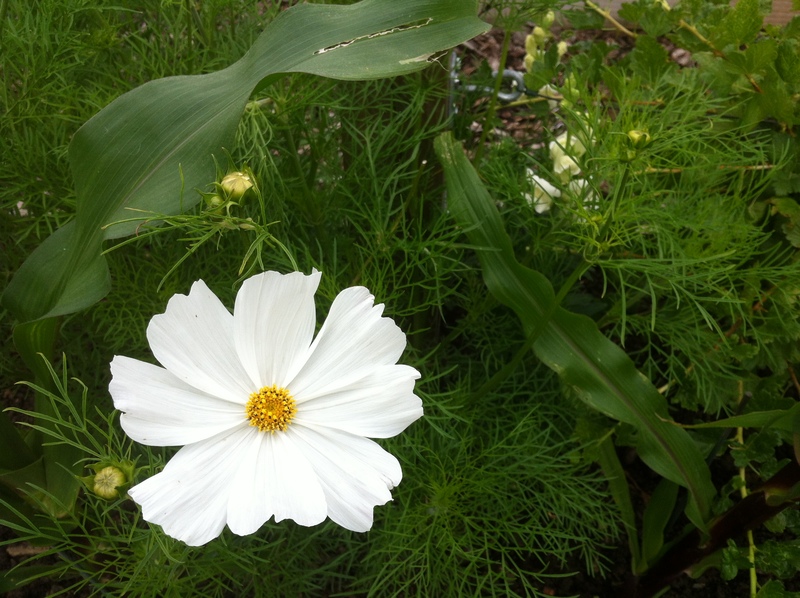 This is the Cosmos Purity that was grown from seed. Ending up with only nine plants, the wind has been particularly harsh across the front of the plot, they have finally established. This is the first proper bloom. 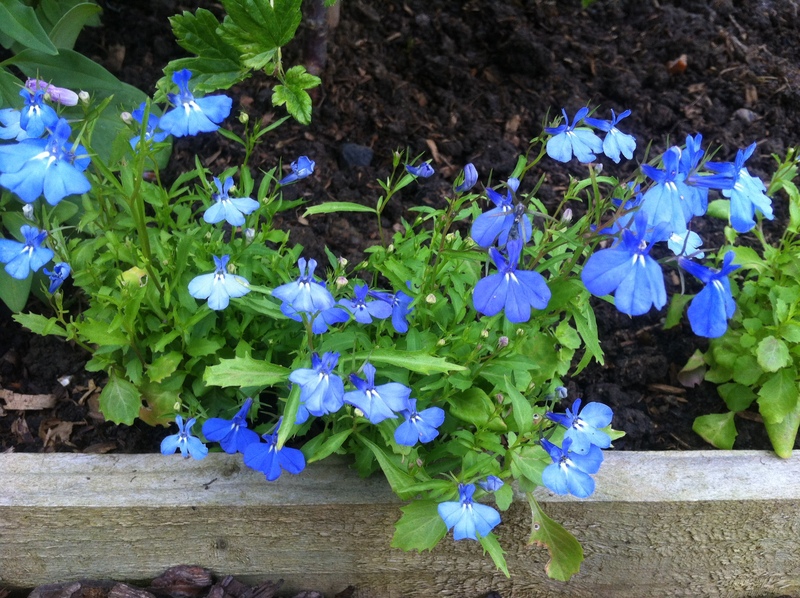 I’m not overly keen on hanging baskets but do like trailing plants especially Lobelia. These are planted around the base of the gooseberry cordons. 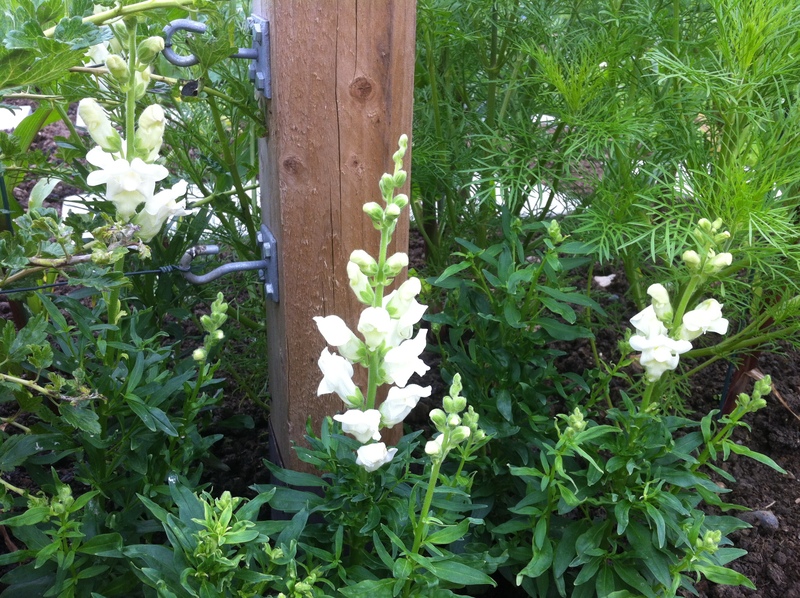 Antirrhinum White Wonder that has some way to go. 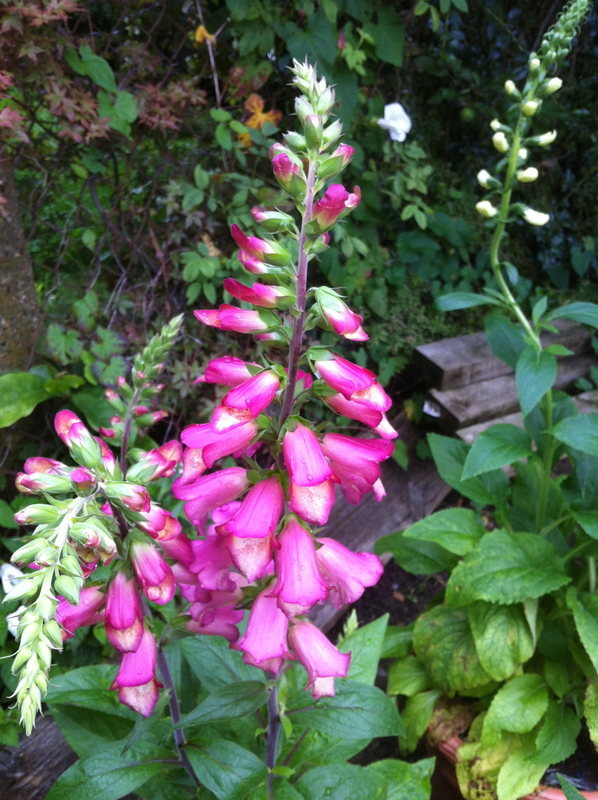 Foxglove Imagination Pink this variety won the RHS plant of the year at Chelsea. In pots at the moment however the back of the plot is the next project so in the ground by the end of the season. 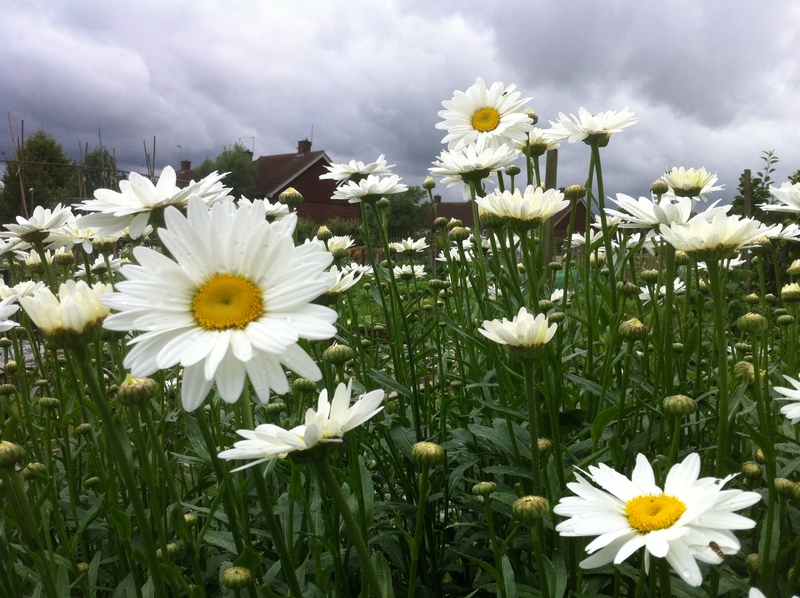 And finally one that really is in bloom Leucanthemum Becky. Three small plants from Bloms Bulbs last year, these now stand four feet tall. Let me know in the comments what you are growing. And if your keen to attract bees to your plot or garden the RHS have published a list here of friendly plants. Thank you. Shame about the houses! What a lovely selection, especially the cosmos ‘Purity’ which is one of my favourites.